More Torque Than A Ferrari F355. Take a trip back to the early 1970's when muscle cars were all the rage including the legendary 1972 Camaro Z28 with it's menacing 5.7L V8. Fast forward to 2013, can you imagine a fuel efficient sport compact sedan achieving quick off-the-line acceleration reminiscent of a classic muscle car? No? You better believe it! The all-new 2014 Chevrolet Cruze Clean Turbo Diesel uses a turbocharging feature called “overboost,” to achieve a whopping 280 lb-ft of torque, while still achieving the best highway fuel economy of any non-hybrid passenger car in America. Most interestingly to put it all in perspective, a Ferrari F355 only achieves 268 lb's of torque in comparison. Cruze Diesel’s turbocharged 2.0L engine delivers a segment-leading 151 horsepower (113 kW) and 264 lb-ft of torque (358 Nm), but the overboost feature increases torque to 280 lb-ft (380 Nm) for about 10 seconds of stronger acceleration. That’s the equivalent torque delivered by the 1972 Camaro Z28’s 5.7L V8. Unlike anything found in the golden age of muscle cars, the Cruze Diesel marries that quick burst torque to a segment-leading EPA-estimated 46 mpg highway, and demonstrated range of 717 miles on one tank of fuel. We'll use athletes as an example. Their muscles use oxygen to break down carbohydrates, fat and protein to produce energy. The more oxygen they take in, the better their performance. 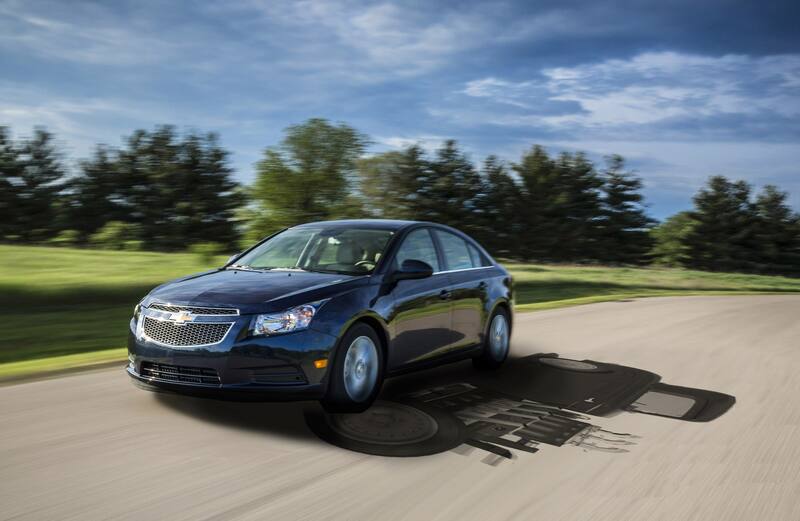 Similarly, Cruze Diesel takes in an extra gulp of oxygen to power through to 280 lb of torque. 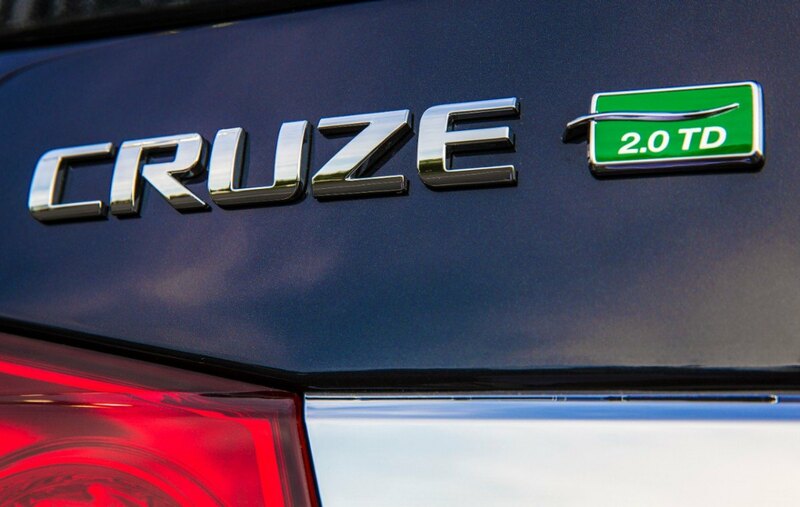 Cruze Diesel can sprint from 0 to 60 in about 8.6 seconds – half a second faster than its chief competitor, the 2013 Volkswagen Jetta 2.0L TDI.